BOSTON, U.S. – Victoria Arduino can finally reveal the official VA388 Black Eagle 2019 WBC machine. 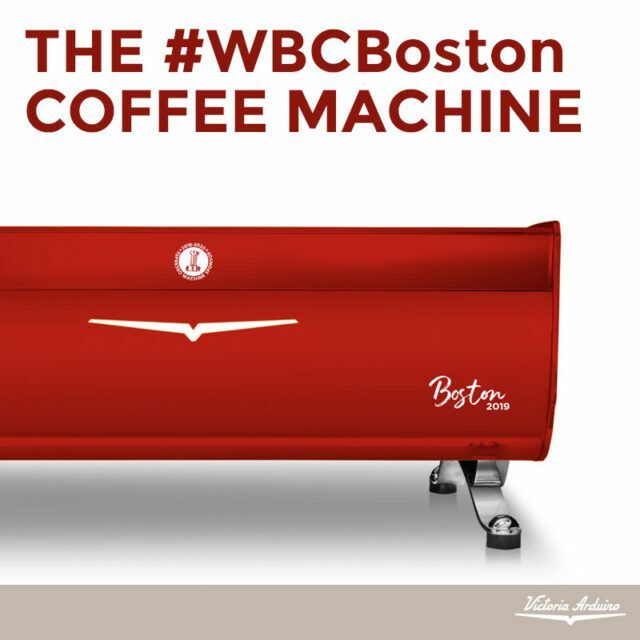 They have chosen the red color, the symbol of passion, the desire to be engaged and above all the symbol of the city that hosts this year the World Barista Championship: Boston. The concept of passion and competition have always been a part of Victoria Arduino brand. The color red of the WBC machine transmits their very essence unlike anything else. “Tradition is the starting point. As the citizens of Boston honor their red brick architecture, we love to take inspiration from our traditions to keep moving forward. The competition attracts us. Much like the Boston baseball team, we set the highest goals and demand perfection from ourselves. Passion is what drives us. As the Boston Freedom Trial, we want to continue to add the new ‘red bricks’ with you to build together the future of the coffee industry. The World Barista Championship and the World Brewers Cup kick off tomorrow in Boston.